Assurance Cell (IQAC), the Seminar is hosted by the Department of Economics, Gossaigaon College, Assam, India. The Seminar intends to provide a forum for scholars, researchers and academicians to interact and exchange views on the topic. The organizing committee inclusive of Dr. N. K. Brahma, Principal & Chairman and Convenor Dr. Dinesh Das is inviting research papers from scholars and requesting all for cooperation and active participation for making the Seminar a grand success. 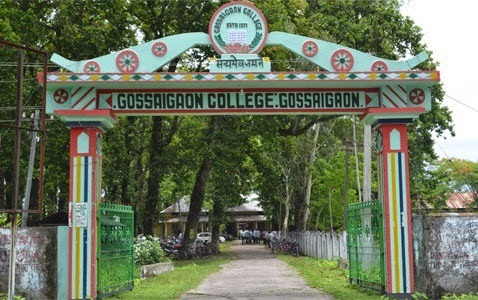 Profile of the College: Gossaigaon College is the only institution of higher education in the Gossaingaon Civil Sub-Division of Kokrajhar District in Assam. 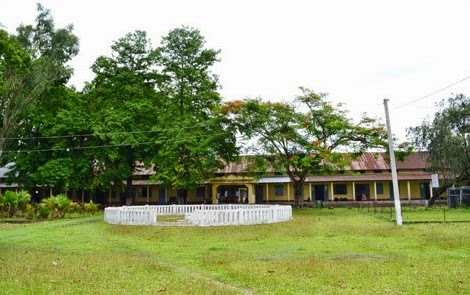 Established in the year 1971, Gossaigaon College has progressed by leaps and bounds against heavy odds discharging its sacred mission “to meet the aspirations of higher education of the local people mostly the tribals, to promote women education and to provide science education at minimum costs in order to bring about an all-round development of the area as a whole”. The College is located about 50 km away towards the west of Kokrajhar, the headquarters of Bodoland Territorial Area District of Assam. The beautiful natural sal trees which stand gloriously inside the College provide a peaceful and cordial atmosphere for teaching and learning process. The commitment and determination of the College authority bore fruit to get a real shot when the Arts stream of the College was brought under the deficit grant-in-aid system in 1978 and was affiliated to the Gauhati University and registered under the UGC 2f Act in 1990. The College was brought under the provincialized system by the Govt. of Assam. The Science stream of the College has been provincialized under provision 4 (1) of the Assam Venture Educational Institutions (Provincilisation of Service) Act, 2011 as Amended 2012 & 2013. Thematic Rationale: The term “Women Empowerment” which is basically a process of creation of an environment where women can think and grow independently and make their own decisions on their personal development and contribute their best to the development of the society. In the past few decades, we have succeeded in removing the psychological barrier of mostly male dominated society and women now have been flourishing at great pace and making their presence felt in all spheres of life; social, economical, political and in the scientific advancement as well. The women CEO’s of India’s top most companies and presence of Indian women in Forbes Most Influential Women list indicates the ascendance of Indian women on higher ladder of achievement culminating into Empowered Women. There is no denying the fact that education has played a vital role in ameliorating the status of women. From the chair person of Indian Parliament to the distinguished judges of Supreme Court of India, remarkable changes in the positions of women could be noticeable. However, great variations in the positions of women still exist at every nook and corner of the country. The researchers underline the fact that only a marginal section of the society has been empowered while those belonging to the lower middle class and to the rural areas are deprived of their share in the development process. By the brainwave, the Gossaigaon College at its infant stage, to share and to broadcast the views, plans, suggestions and all such aspects in conducting the International Seminar on Women Empowerment. It is strongly believed that the seminar can enable the formalism of women’s development in all means. Full Paper Submission: Full paper of individual paper presenter is to submitted within the specified date as mentioned below. The full paper for publication should contain Introduction, Review of Literature, Objectives, Methodology, Discussion, Results/Findings, Policy Implications, conclusion and References. Manuscript should be 2000-3000 words. References should be given at the end of the paper arranged alphabetically by authors, followed by the year of publication, name of the journals, articles or books, etc., name of the publishers, place of publication and relevant pages in succession. The full paper is to be submitted vide Email: fullpaper4gc@gmail.com. Mode of Payment of Registration Fee: Registration Fee can be paid through Bank Draft. Bank Draft should be drawn in favour of Editor, Chinaky-ARJHSS, Gossaigaon College payable at Gossaigaon Branch of state Bank of India (Code No. 07996). Accommodation: Accommodation could be arranged to the Paper Presenter on request in Hotels at Gossagaon, Kokrajhar, Bongaigaon, Coochbihar and Alipurduar, but they will have to bear the expenses. The Hotel rents are affordable. Alternatively, they can arrange their accommodation directly. The Organizing Committee will announce the lists of the recommended Hostels later. No TA/DA will be provided to the participants except the invited resource persons. Climate of Gossaigaon in February: The temperature in February generally reaches a high of about 22 Degree Celsius during the daytime and the average minimum temperature comes down to 15 Degree Celsius at night. The relative humidity level is about 69% for the same period. Nearest Airports: The nearest Airports are Lokpriyo Gopinath Bordoloi International Airport, Borjhar, Guwahati and Bagdogra Airport, Siliguri which are not more than two hours journey by air from Delhi. These airports are also connected to Mumbai, Kolkata and Chennai and other airports in India and in abroad. Nearest Railway Stations: The nearest Railway station suggested are New Bongaigaon, Kokrajhar, New Coochbihar and New Alipurduar which are well connected with most of the cities and towns in India by trains. Those who want to reach Gossaingaon by train can also avail of Brahmaputra Mail, Kanchan Junga Express, Lumding Intercity, Kamakhya-New Coochbihar Intercity, Dekargaon (Tezpur)-NJP Intercity and Sifung Passenger which have stoppage at Gossaigaon Hat station. Nearest Bus Station: The nearest Bus Station is Gossaingaon, in the heart of Gossaingaon town from which buses both private and government run to different parts of Assam and West Bengal like Guwahati, Barpetaroad, Bongaigaon, Kokrajhar, Coochbihar, Alipurduar, Barovisha, etc. Registration Form will send the individual paper presenter with acceptance letter of Abstract. No registration will be entertained after 31st December 2014. However spot registration will be available for the participants without paper on the 1st day of the Seminar (4th February, 2015) on payment of a registration fee of Rs. 1000. Publication/Certificate: The Organizing Committee has decided to publish seminar proceedings (selected papers by the expert committee/reviewers) in the form of an Edited Book with full ISBN by a leading publisher in Guwahati/New Delhi after the event. Only the Abstract/Papers of the Registered participants will be awarded each Technical session for paper presenters.